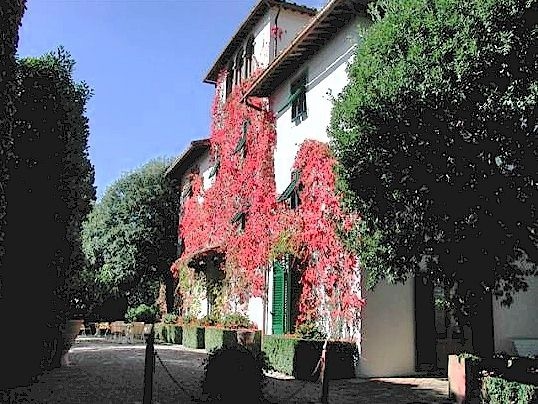 This is Casa Ramoli near Panzano in Chianti, Tuscany, a great place to stay in Chianti for 2 to 6 persons. The views out over the Val di Greve are truly spectacular – and not only from this great terrace! 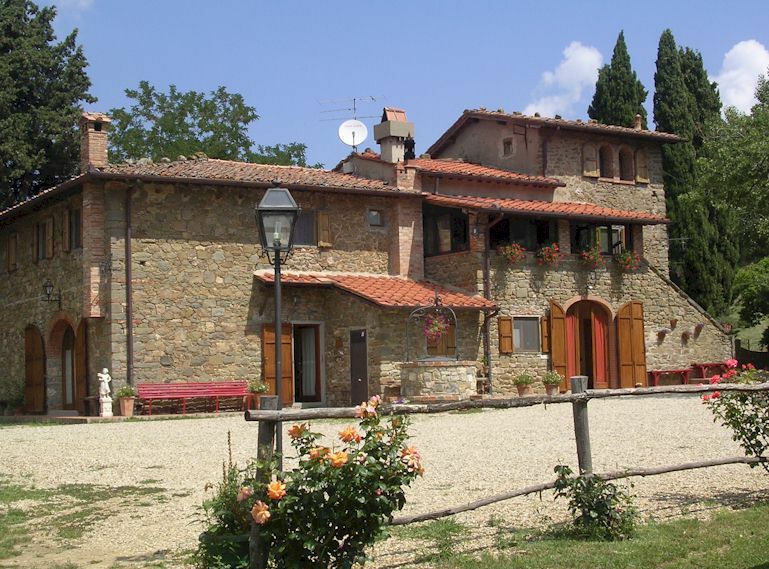 The house has been restored recently and furnished in Tuscan country style. 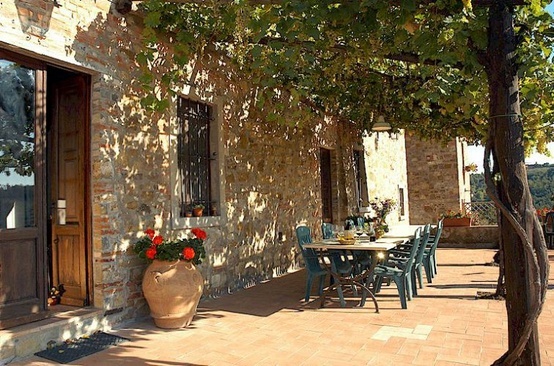 It sleeps 2 to 6 people and is located just five minutes drive from Panzano right in the centre of the Chianti Classico wine zone between Florence and Sienna. 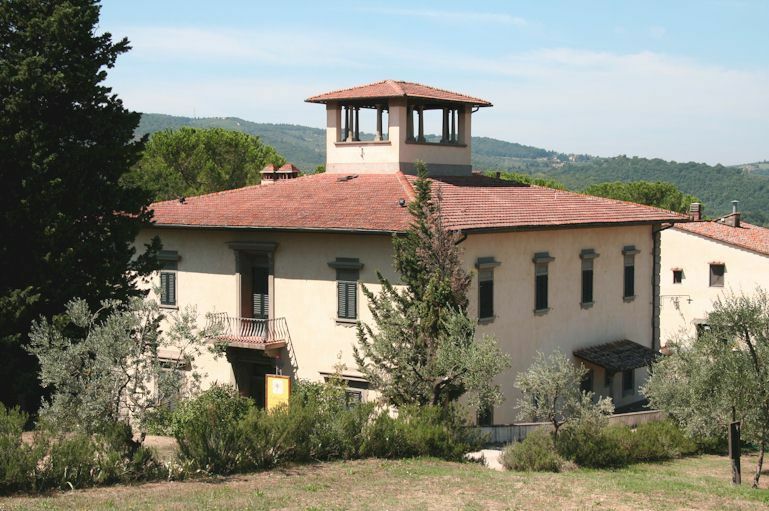 One of things to look for when renting a vacation apartment in Chianti is altitude, meaning “are there going to be fresh breezes in summer?” Casa Ramoli is positioned for exactly this, having been an outlying watch tower of the castle of Panzano in Mediaeval times. 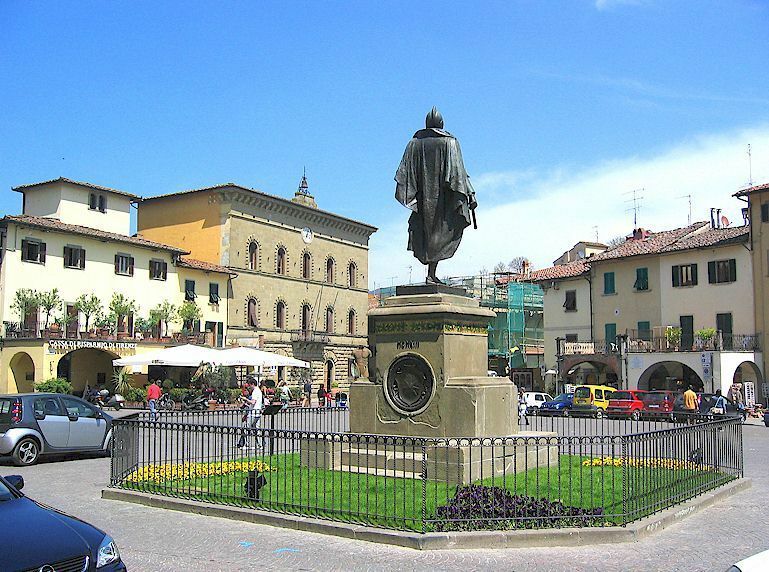 Cities such as Florence become very hot and humid in the middle of summer. 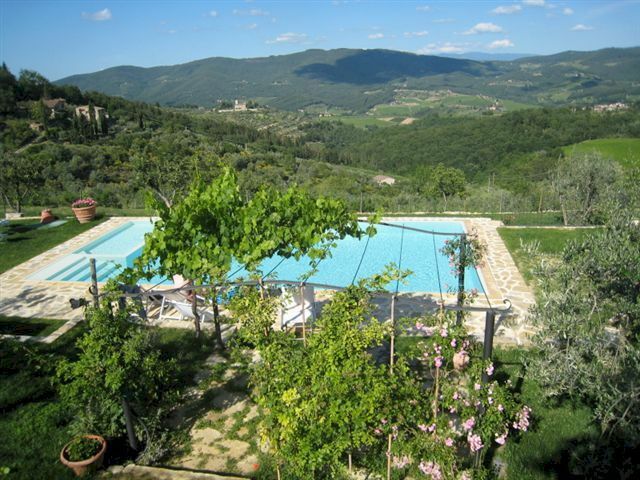 This is why wise holiday-makers stay in Chianti, out in the country, making day trips into Florence for the art and architecture, and then returning to their agriturismo to relax on the terrace. For dinner one can go in to Panzano or to one of the country restaurants round about, or dine at home, in-doors or out. This might mean cooking a dinner from the ground up or it might mean making good use of the cold and hot ready-cooked food available in the Coop supermarket and the numerous other food outlets in Greve in Chianti, 15 minutes away.